Stephanie Pinet is a Real Estate Agent & Investor in the Greater Hamilton Burlington Area in Ontario, Canada. She strives to educate people about what to expect in a Real Estate Deal, and how to Maximize your Profits as a Buyer, Seller, or Investor. 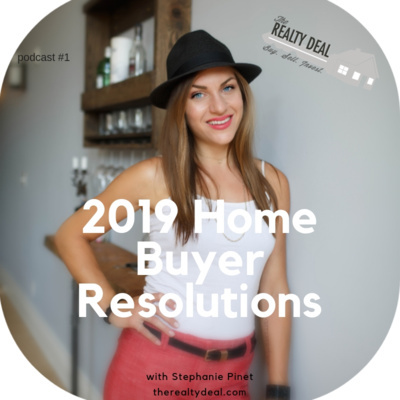 Stephanie's passion for growing one's financial legacy has introduced her to many facets of the real estate world that she is keen to share with her listeners. Stephanie shares some Awesome Tips on How to Boost your Curb Appeal Before Listing Your Home For Sale. First Impressions are Lasting! Make sure the ones you give when your home is For Sale, are Memorable... in a good way! Here are some weekend projects you can tackle now that Spring is around the corner and will allow us more (enjoyable) time outside. Do you have any questions for Stephanie to make sure you make the right decisions on where to spend your Money before you Sell? You want to make a Great Return on Your Investment! Contact her today to ask a Professional Real Estate Opinion on your Curb Appeal. Are you thinking about Buying a House? Ask yourself these questions before you start looking. Stephanie will help you decipher if you're in the right time of your life to Buy a House, so reach out if you're thinking about buying a house in the Hamilton Burlington Area! Thanks for listening and sharing with your friends and family who are thinking about making a move! Stephanie gives you some great tips on how to make your home COZY! That's the best part of having a home, isn't it? Feeling SO comfortable in your space 😍 Listen Now and let Stephanie know what your favourite home project is! Stephanie explains the details of your deposit cheque. When is it due? Who does it go to? Omg that's a lot of money! Ease your mind and be prepared to fork over some money if you're going to make an offer. Are you Wasting Your Money Preparing Your Home For Sale? One of the Biggest Mistakes Home Sellers make is to Over Renovate their home, and they don't get a great return on their investment. Stephanie explains what to spend your money and what NOT to spend your Money on before Listing Your Home. Do you live in the Hamilton Burlington Area and are Thinking of Selling Your Home? Contact Stephanie to consult you to make sure you're putting your money to good use! Stephanie walks you through the Process of Selling your Home. What do to Before, During and After Selling your Home. Listen Now for Unique Tips to Help you Sell Your Home in the Least Amount of time for the Most Amount of Money with the Least Amount of Headaches! 🏡 Are you thinking of Selling Your Home in the Hamilton Burlington Area? Call Stephanie today! Thinking of Selling your Home? Listen up! Stephanie explains some common terms to familiarize yourself with before Selling your home. She will tell you what to expect when you receive an offer, and how to handle it. What is considered a Fixture in a Home? How do you know if something will be included in the purchase price of your new home? Well, it's real estate, so everything is negotiable! So you can negotiate to include the appliances, light fixtures, window coverings etc. etc. Stephanie explains how to know if something will be included in the Purchase Price of your Home. ~ Put everything in writing! ~ & call Stephanie if you're thinking of Buying, Selling or Investing in Real Estate in the Greater Hamilton-Burlington Area. Should I Sign a Buyer Representation Agreement with a Realtor? I'm taking this episode to explain why I volunteer at a Non-Profit, on Committee's and on the Board of Directors, for the Realtors Association of Hamilton Burlington. I am passionate about Bringing Value to my Network, Enhancing my Personal & Professional Skills, Uplifting & Shaping the Future of the Real Estate Profession, Keeping on the Cutting Edge of Real Estate, Engaging with Members, and much more! Thanks for listening and considering Volunteering with an Association that you are Passionate about! Stephanie explains what paperwork is involved in making an offer to purchase a property. She provides some insights to negotiate, timeliness, and other very important information to know when buying a home. 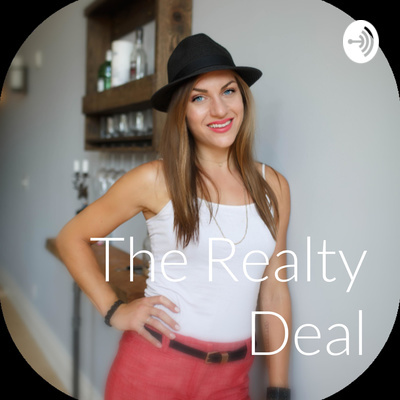 Awesome tips and insights in this podcast to educate you before you make an offer! Are you thinking about Buying a Home? Don't go at it alone! There are over 3100 Realtors in the Hamilton Burlington area for you to talk to about Investing in Real Estate (with only a very small portion being full time Realtors). Do your homework on your Realtor, and understand that they bring immense value to your home buying process. (and I bring lots of passion about homes and helping people). In this episode, I will cover 10 ways your Realtor will help you throughout the Home Buying Process. Do you want to make your Home ownership Dreams come true in 2019? Take these steps in the right direction and let Stephanie help you to becoming a Homeowner!